STOP!! Who Are You?! There Is Still Hope For You to become the vision that God had in mind when he created you. 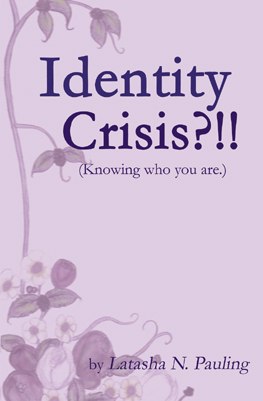 Identity Crisis challenges you to sit down and explore who you truly are. Ask yourself, is the person you are today the person God wants you to be? Did God intend for you to be this way? How did you become who you are today? It is time to take a journey to your new beginning. Do not live one more moment not understanding WHO YOU ARE!